Blouse by AIRFIELD with long sleeves. Key fashion piece in fashionable mixed pattern. Open side ruffles on the cuff with XL dots form an on-trend contrast with the richly coloured floral print. 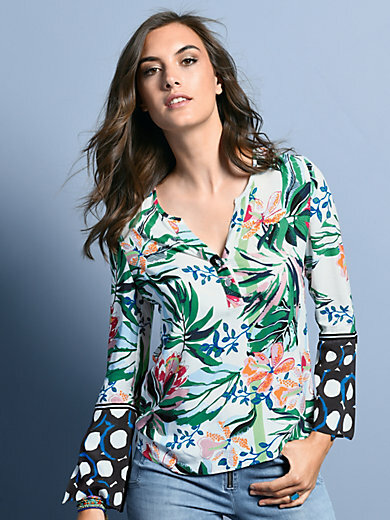 Casual tunic style with round neckline, short button front and rounded hem. 100% viscose. Length approx. 26ins. The blouse should be washed by hand.